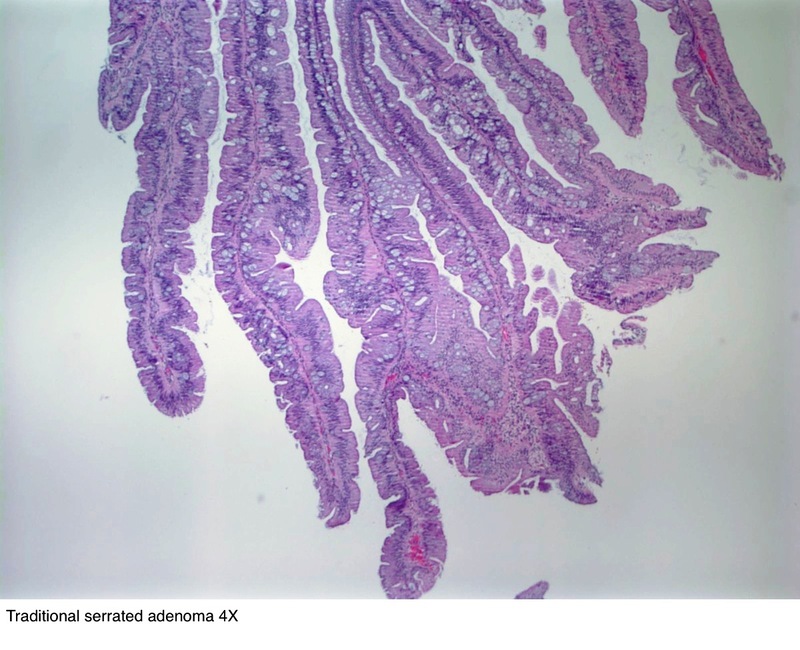 Cite this page: Kuo E. Traditional serrated adenoma. PathologyOutlines.com website. 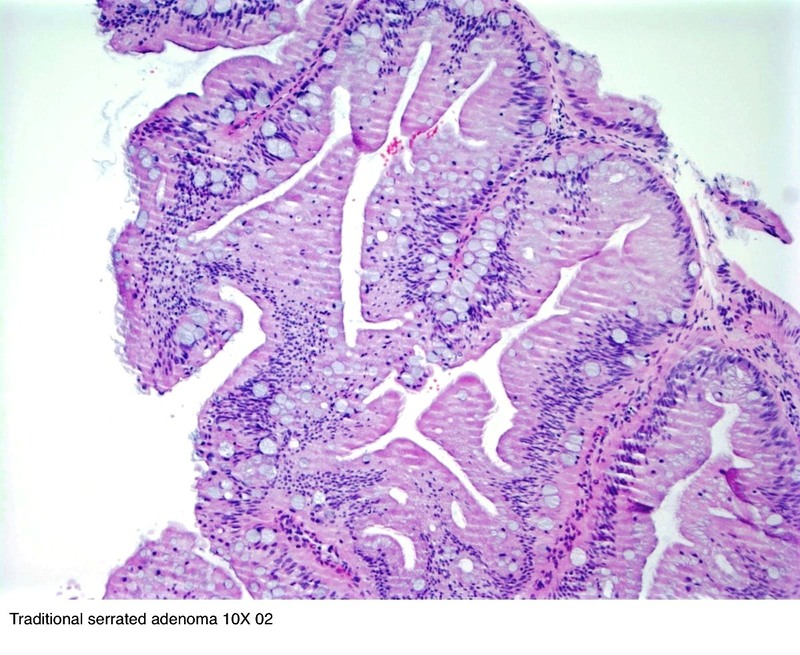 http://www.pathologyoutlines.com/topic/colontumortraditionalserratedadenoma.html. Accessed April 19th, 2019. Images contributed by Enoch Kuo, M.D. 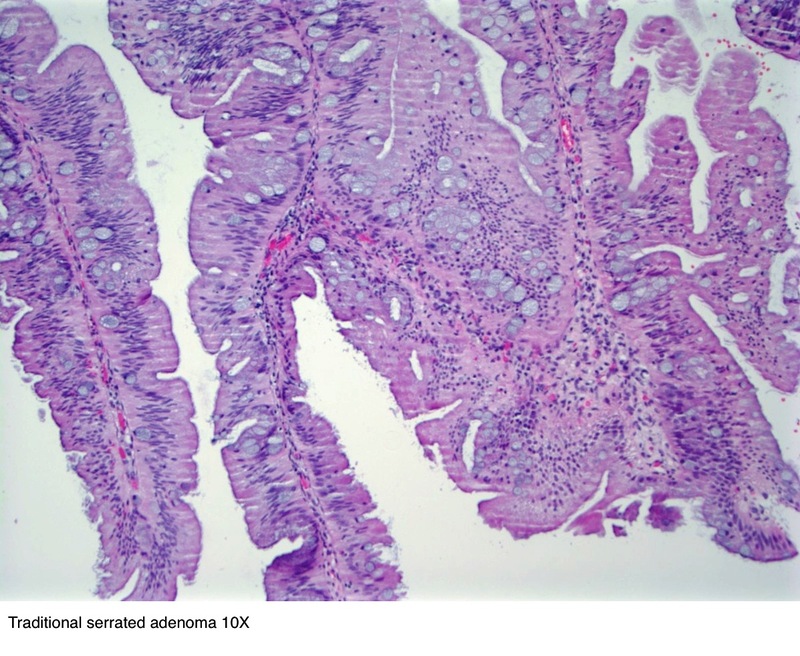 Which mutation is most common in traditional serrated adenomas? 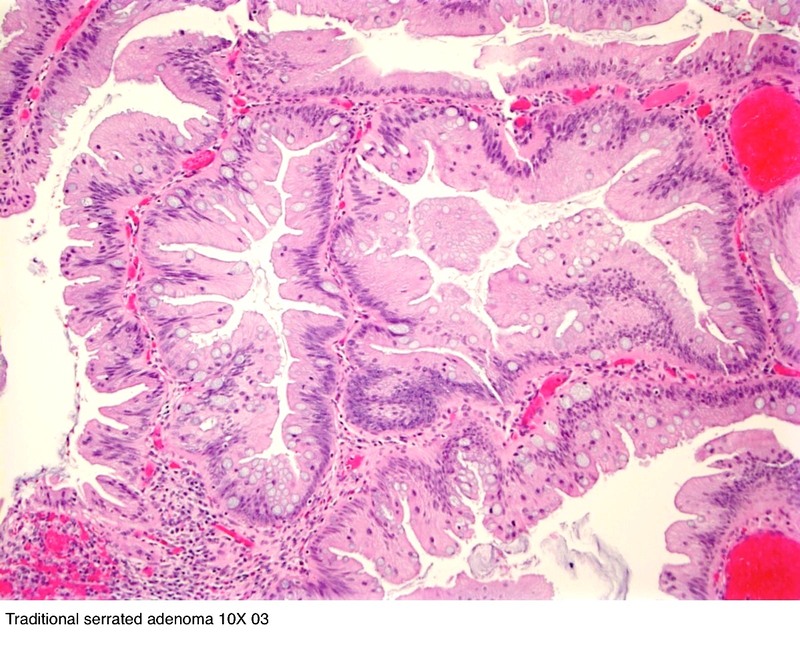 A. BRAF and KRAS mutations in traditional serrated adenomas are almost mutually exclusive with approximately 67% having BRAF mutations and 22% with KRAS mutations. 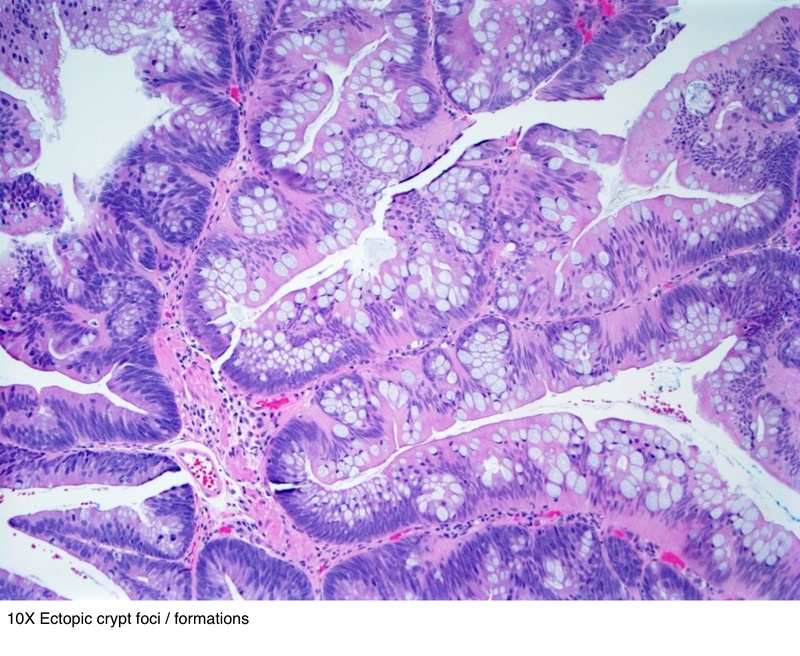 BRAF mutated traditional serrated adenomas are more likely to be CpG island methylator phenotype high. 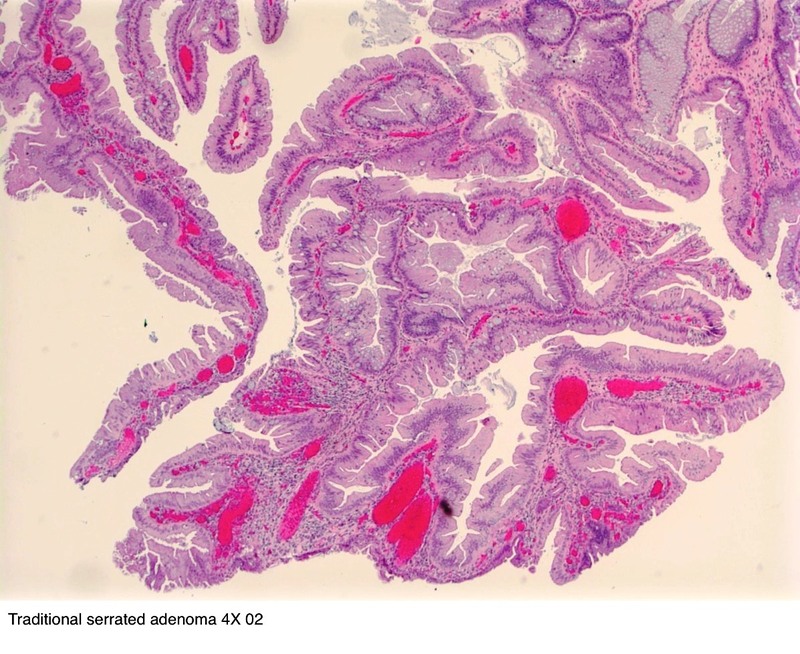 TP53 mutation and CDKN2A silencing by methylation are seen in areas with conventional dysplasia (Mod Pathol 2015;28:414).